Without funding received from Cincinnati International Wine Festival, the support that families receive would not be possible. Because of this support, we are able to care for 78 families each night. Our cost to care for families is $104 per room, per night. On average, our guest families are only able to contribute just over $5 toward their stay. Through the generosity of the Cincinnati International Wine festival and its generous supporter we are able to help financial bridge the gap between the actual cost per night and what families are able to contribute. We are able to help families get through some of the darkest times in their lives. Families like Arizona’s. Teresa Fisher moved to Vietnam from the U.S. many years ago to be with her Vietnamese husband, Hai Huynh, and to start a family. By 2012, they had four healthy children together and were expecting to soon add a fifth child to their family. But Teresa knew something was wrong very early in her pregnancy. The baby was extraordinarily heavy and her three-month ultrasound showed that it was because the baby was retaining fluid – so much fluid that large cysts were protruding all over the baby’s body, filled with water. Her doctor told her there was no hope for the baby and she needed to have an abortion. But Teresa wouldn’t accept that and saw another doctor for a second opinion, and then another, and then another. They all said there was no hope for the baby, that it would not survive birth, and that Teresa would not survive either if she tried to carry it to term. But still, Teresa would not accept that she had to give up her baby. And Teresa soon began to see beautiful life arising from the prognosis of death. Her six-month ultrasound showed there was no longer water in Arizona’s heart. Her seven-month ultrasound showed there was no longer water in her lungs. And two days before she was born through a cesarean section, doctors discovered there was no longer water in her abdomen. On July 18, 2013, Arizona was born and immediately rushed into the Pediatric Intensive Care Unit. Eighteen days later, she was able to come home. Both mother and baby had survived the birth, but it was just the beginning of the long road ahead. Arizona had survived the extraordinary accumulation of fluids during gestation, called hydrops fetalis. And now, doctors diagnosed her with Turner Syndrome (TS), a chromosomal disorder. TS can result in heart defects, puffy hands and feet, recurring ear infections, kidney, thyroid and liver problems, short stature, a webbed neck, and other issues. In her first few months, doctors discovered a hole in her heart. She also contracted pneumonia twice and was suffering from a terrible ear infection. Teresa was desperate for help and emailed photos of Arizona to a doctor in the U.S. who soon came to Vietnam to examine her. She recommended that Arizona go to Cincinnati Children’s Hospital Medical Center as soon as possible. Within a month, Teresa and Arizona were on a plane to Cincinnati. Doctors in Cincinnati were able to successfully repair her heart. And she had a second surgery to remove a tissue abnormality on her head that doctors believe remained from the water-filled cysts she developed in utero. 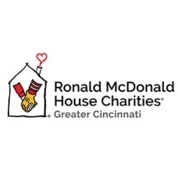 Cincinnati’s Ronald McDonald House helped me breathe – physically, mentally, and emotionally. It was such a blessing to know we were taken care of by the staff and volunteers. It truly became our home in the U.S. as we bonded with the other guest families who were going through similar experiences. And the House definitely aided in our healing by providing a quiet, private room where we could rest and recharge, in addition to a beautiful environment full of life, laughter, and activity when we needed that, too. Today, Arizona is doing well – her heart is strong and she is not experiencing any life-threatening health issues. Arizona and her family are working to address the symptoms of TS, which will be difficult, but which Teresa says will feel like a relief after the battles they have already fought.